Delia Bennett's youngest daughter, Creola Pettway, is a member of a Gee's Bend gospel quartet, the White Rose, which recently celebrated its thirty-fifth anniversary. Delia Bennett is my mother. Good old mother. When I got old enough to know her, she was making quilts, cooking, canning, couldn't nobody beat her canning. She canned anything she wants to can, without a book—in her head. Lot of times, you don't need to go to a book for everything. You need some of the stuff God put in you. That's the way I am. I like to sing but I'm about to give it up. Every time I'm about to give it up, something tell me to go ahead—the prize is at the end. If I keep on singing I probably make it to glory. But if I stop singing, that cut off some of my work. We had four brothers and seven sisters. My daddy was Eddie Bennett. We farmed. They didn't let us go to the fields when we was small. We had to get up some size before we go. I did enjoy farming, but if I had to go now, I'd be too lazy. We grow cotton, corn, and millet. Sometimes we had ribbon cane, peas. We didn't work too hard. It wasn't bad at that time. We had lots of fun. 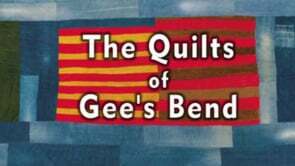 I went to school up to the ninth grade in Gee's Bend. I went out to Montgomery and worked at the pie company, I never forget that place. It was me and another girl there. The head lady was enjoying me working so much she let me take care of her kid. I enjoyed that. When I got back home, my mother wanted me to stay because she was getting sick. I wanted to go back, but I never did. But I traveled. I went to Boston, Massachusetts, and Jamaica, New York. I got there on Amtrak, but you can't put me on that anymore. I'm through with that train. Singing in the White Rose and quilting was the best things I do. Singing I like best of all, because I get joy out of it. 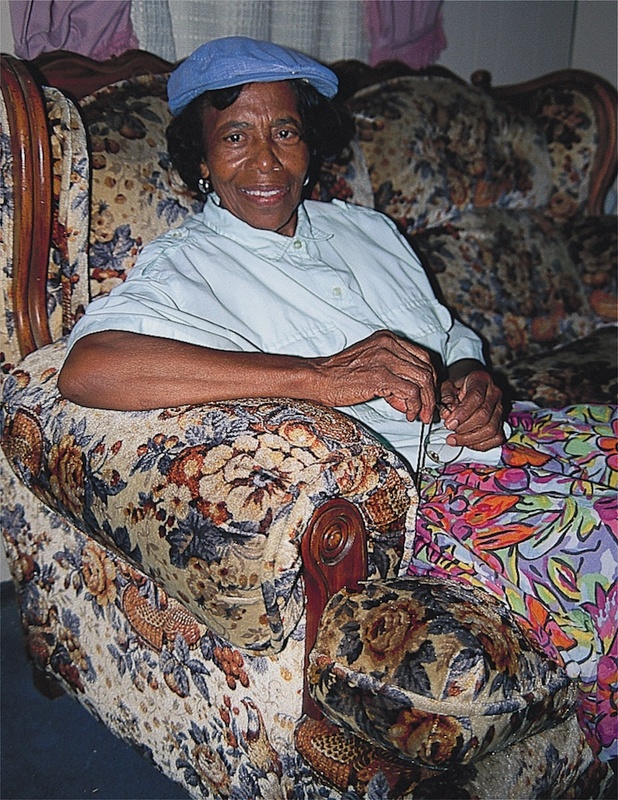 Leola Pettway is the secretary. Arlonzia Pettway, a member. Georgianna Pettway, I forget. And I'm the manager. And we're going on pretty good. My mother, she was quilting. She had four frames at that time. Then you put the quilt up. She makes us quilt the little corner first. Then after we learn good, she let us in the big way, in the front. Then we went on to quilting. We talked to the man, Reverend Walter. When he first came to Boykin, he find me and my auntie Minder Coleman. He say, "The Lord tell me to stop right at this house, here. I want that quilt you quilting." We said we ain't going to get this quilt out today. He said, "I'll take it like it is." So, we get that quilt out. We didn't even hem it. We piece a lot of quilts for him. I enjoyed it very much because I knowing more how to make quilts then. If I hadn't gotten lazy, I could get a piece of cloth and make something out of it. That's the way I do all my things. That's the way I cooked. I don't get no recipe. Whatever way I want to cook, I cook. If it don't be good, I want it that way. I get me a piece of cloth and put it on the bed and decide in my mind the way I want that quilt. When I decide the way I want it, I can make it. You can do things out your head. You ain't got to have a book for everything. See, God can put something in your head and show you how to do it. We can't do nothing without God. He's at the head of everything. We wouldn't even walk this morning if it weren't for God.